As the familiar sweet aroma fills the house, no one will be able to resist a slice of this dense, chocolate bread. Breakfast time? Serve the bread at room temperature or toasted, with butter or, for a special treat, with your favorite jam. In a bowl, sprinkle the yeast and a pinch of the granulated sugar over of the warm milk and stir to dissolve. Let stand until foamy, about 10 minutes. 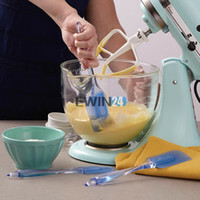 To make the dough with a stand mixer, in the 5-quart bowl of a mixer, mix together the eggs, egg yolk and sugar. Add the yeast mixture, and whisk to combine. Add the flour. Place the bowl on the mixer, attach the dough hook and knead on low speed. Add the butter and beat until flour mixture and butter are completely incorporated. Continue kneading the dough on low speed for about 10 minutes. Do not be tempted to add more flour. The dough should be smooth, soft, and slightly sticky when squeezed is formed. Remove the dough from the bowl. Turn dough out onto a lightly floured surface, and knead a few turns until smooth. Transfer it to a lightly buttered bowl. Cover the bowl with a damp kitchen towel and let the dough rise in a warm, draft-free spot until it doubles in bulk, about 2 hours. In a medium bowl mix together the chocolate, vanilla sugar and soft butter. Generously butter two loaf pans and line them with parchment paper. Beat the egg with a milk or a cream and set egg wash aside. Turn the dough out onto a lightly floured board. Divide the dough in half and roll or pat each half into an 8-by-12-inch rectangle. Lightly sprinkle each rectangle with half of the filling, leaving a 1-inch border on all sides. Beginning at a narrow end, tightly roll up each rectangle into a compact log. Pinch the ends and the long seam to seal in the filling. Twist the log and place in a prepared pan. Repeat with remaining dough and remaining filling. Cover loosely with plastic wrap and let the bread rise at room temperature for about one hour. Position a rack in the lower third of an oven and preheat to 350°F. Brush the top of each loaf with egg wash and sprinkle with extra chocolate. Bake loaves, rotating halfway through, until dark brown, about 45 minutes. This looks marvelous! Great with a cup of tea or some milk for the breakfast! Beautiful cakes. They look extremely delicious and tempting. This is a very nice recipe! Something to sweeten long evenings or cool mornings during the Fall… As always, great pictures, Yelena. I love the recipe! So neat looking!